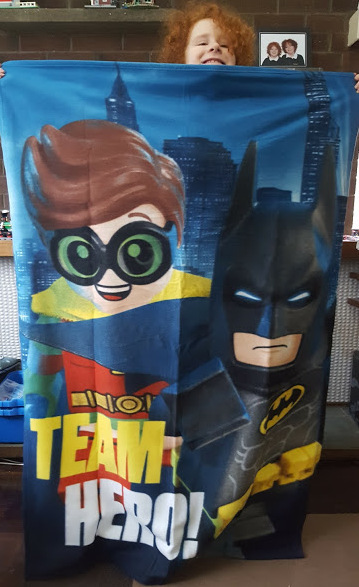 We've been sent The LEGO Batman Movie Towelling Poncho, Fleece Blanket and Single Duvet Set. I've washed and tumble dried everything before use. All warehouses and other storage are dusty, and industrial cleaning fluids might not be as gentle as your regular wash powder. 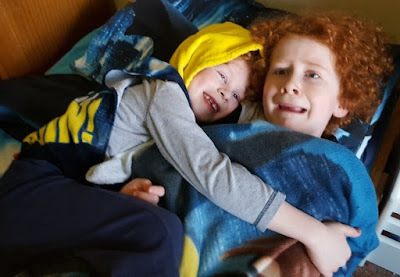 The poly/cotton bedding was already fairly soft, but obviously benefits from a first wash, as does the cotton poncho, and the polyester fleece blanket stayed just as soft as it started. 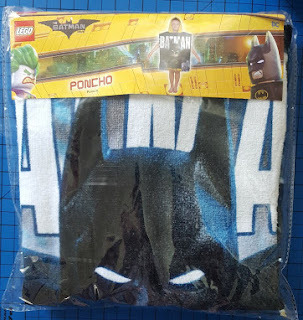 The LEGO Batman Poncho is 'one size fits all' and still reaches my almost 7 year old's knees. The hood is generous, with a wide neck, so it has a good age span, probably ideal from around 2-6. 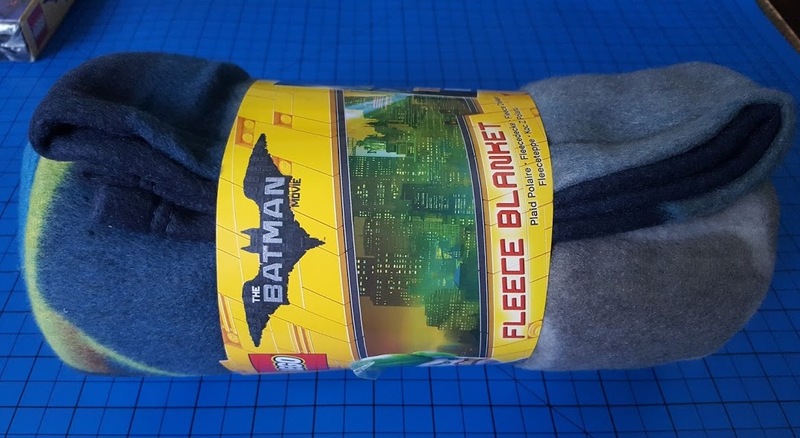 As a towel or to keep yourself warm, it has plenty of material to make that a reality. The printed pictures are great - big, bold and I like that Robin is there on his own side. Easy to spot on the beach too! 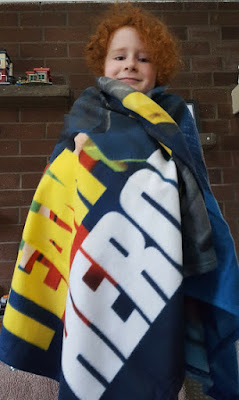 The Fleece Blanket is much bigger than I expected -120cm x 150cm - and has a gorgeous design. By fluke or clever positioning, when either of my sons wraps themselves up, it says "Team Hero" across their front. 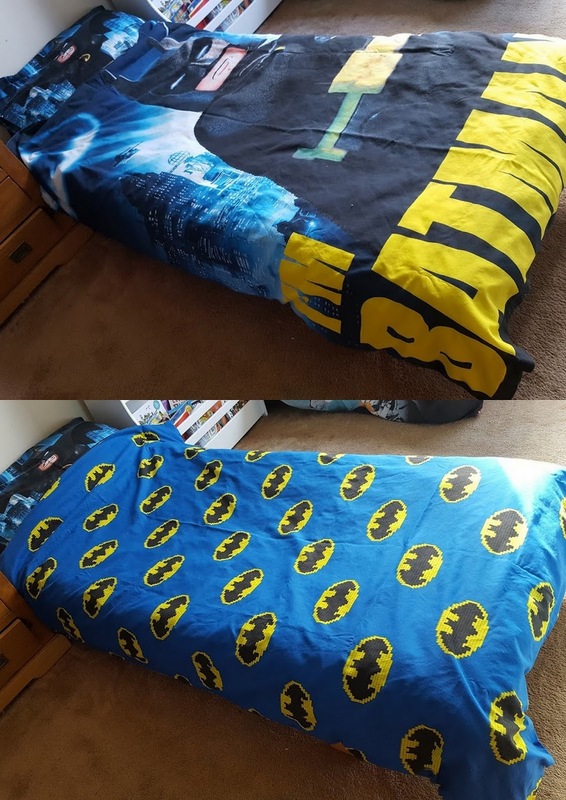 Batman would be proud. Lovely and soft, the 100% Polyester fleece is thick enough that it'll last a while, but not too heavy for a child. My boys both adore it. 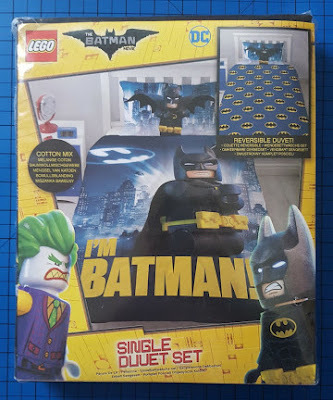 The Single Duvet set comes with a matching pillowcase and is standard single size 135cm x 200cm, pillow case 48cm x 74cm. 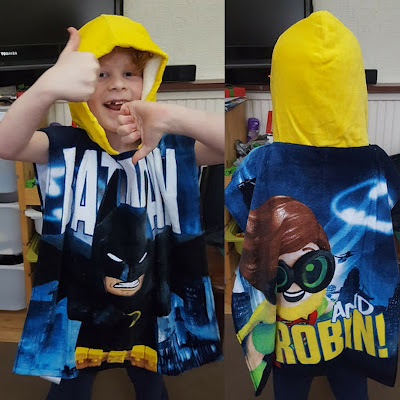 Made from 50% Cotton/50% Polyster, so fully washable and tumble drier friendly. Huge opening with snap fasteners which work really well, and I know from experience with Character World - survive well! 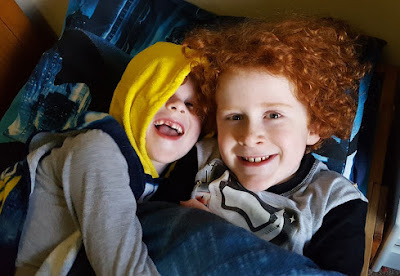 We reviewed Star Wars Force Awakens bedding last May and I'm still delighted with that - as are my boys. 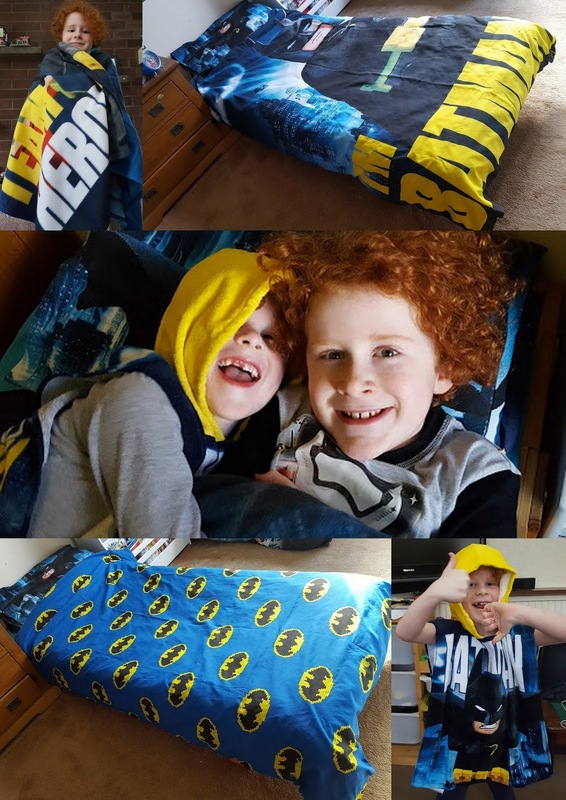 The LEGO Batman Duvet cover is reversible, and the boys were being incredibly 'helpful', so excuse the crinkles. 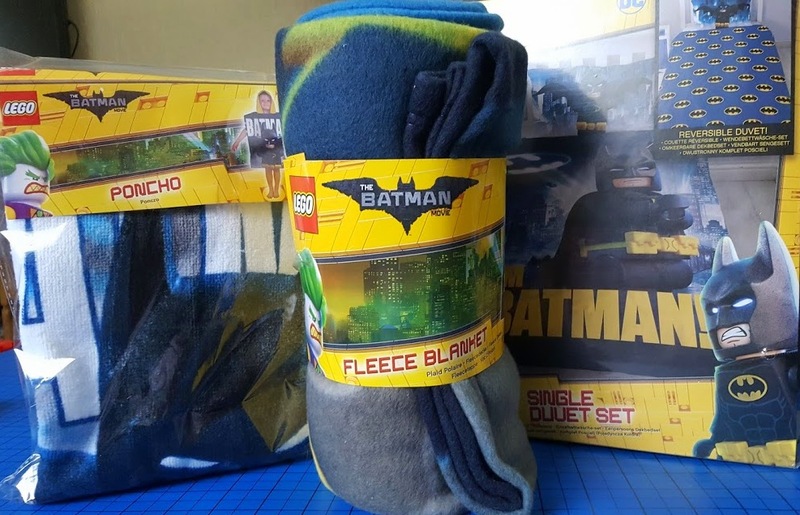 The designs are both so colourful and bold, no Batman fan could fail to be impressed. 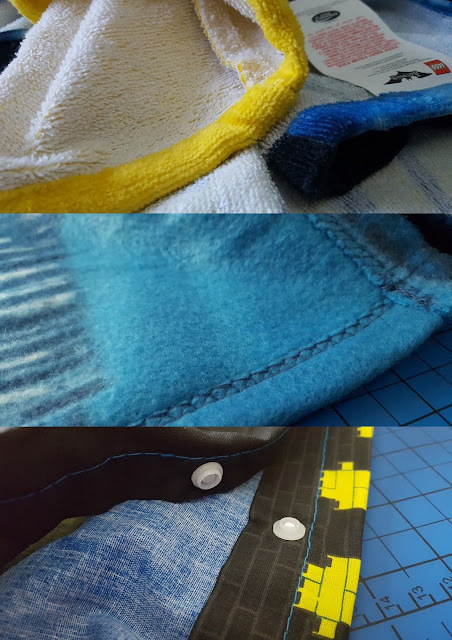 All of the Character World products are nicely made and finished with ample hems and stitched seams. There's an attention to detail which makes them reliable and trustworthy, as well as looking great. They are also very reasonably priced. Character World make absolutely loads of Officially Licensed products to suit any child's bedroom. 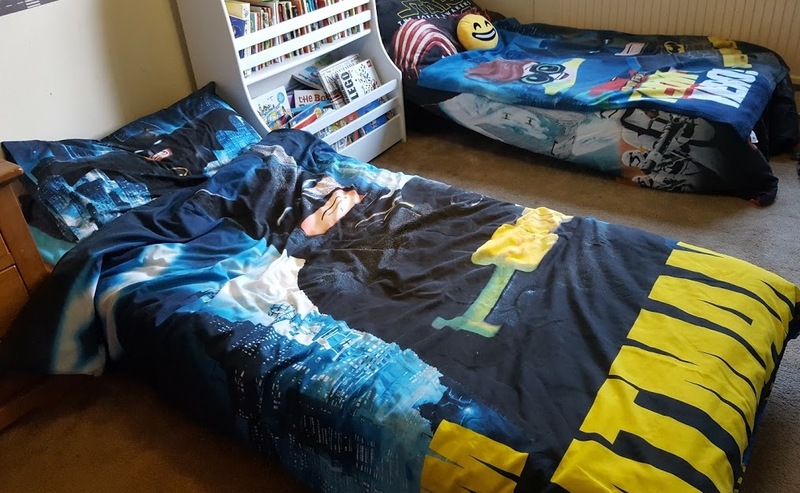 Ranges include My Little Pony and Barbie, Pokemon, Transformers, a host of Disney and many more. The LEGO Batman Poncho is rrp £9.99, the Fleece Blanket rrp £9.99 and the Reversible LEGO Batman 'Hero' Single Duvet Set rrp £15.99. Character World products are available to buy from a huge range of stores, including online at Amazon.